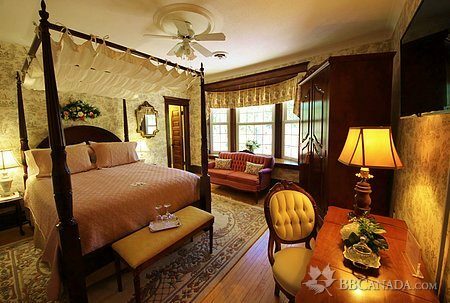 '...one of Stratford's finest B&B's', the Toronto Star. '...a Stratford Landmark', Globe and Mail. Visit our historically significant Victorian home built by Col.Youngs, master builder and former mayor. 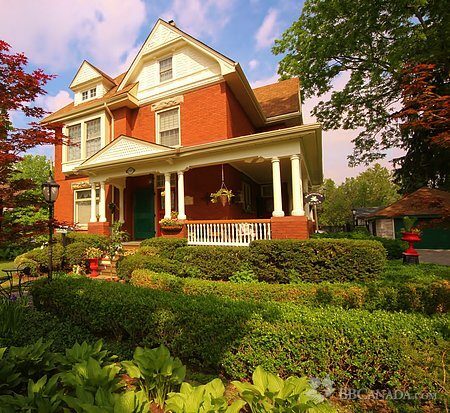 A grand entrance foyer with impressive original woodwork throughout. 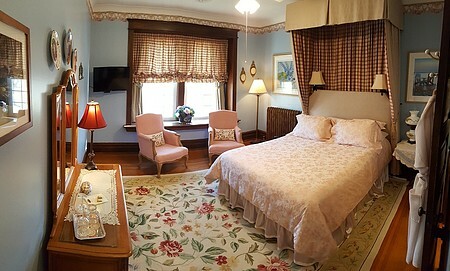 Enjoy our guest lounge, fireplaces and formal dining room. Relax on the wrap-around veranda. 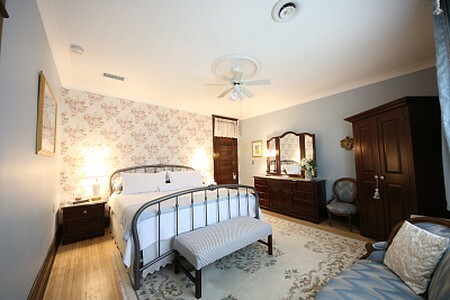 Four spacious, elegant bedrooms are exquisitely decorated in period style. Modern amenities enhance your comfort. 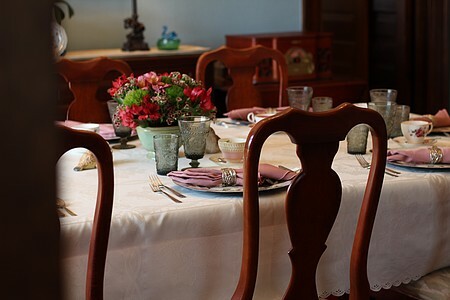 An exquisitely prepared breakfast is served in our beautiful dining room. Gluten free and vegan options included. Enjoy our beautiful, award winning, formal gardens and wrap-around veranda. Park and walk to all major attractions. Wireless Internet available. Free long distance calls anywhere in North America. Cancellation : One night stays are subject to a $20.00 surcharge. $40(CDN) non-refundable deposit per room/night ...full payment required if cancelled within 14 days of arrival date.